October is typically a really good month for movies, as you get both the beginnings of Oscar hopefuls as well as usually a sleeper hit blockbuster or two. This past October was no different. What was different, for me, was that I got married this October. As such, the free time I normally have with which I can review movies was non-existent. Of course, I’ve caught up on many of them now, but where’s the timeliness or interest in reviewing something that came out before Thanksgiving, or even Halloween? You’re reading the solution. Were you also unable to get out to the theatres much this last month? Well, here’s a break-down of recent movies to check out this weekend if all the showings of Spectre are sold out at your theatre. If you missed the full review, the lead is that The Martian is the best film of 2015 so far. It’s a perfect blend of spectacle and intimacy, of technology and humanity, of terror and wonder. 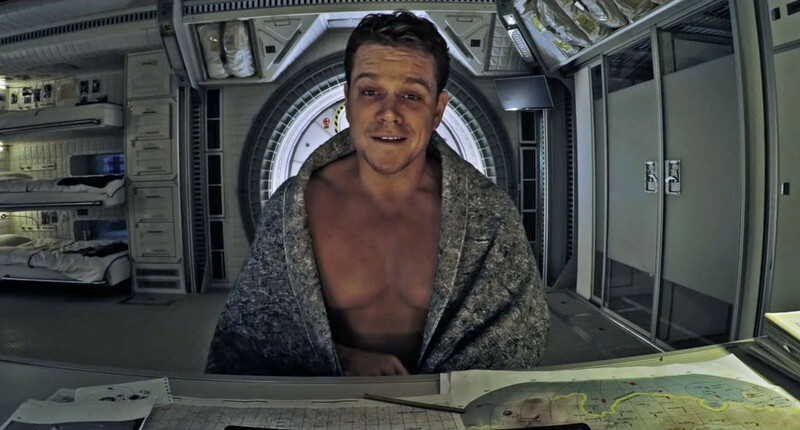 Matt Damon plays Mark Watney, part of a team leading the third mission to Mars, who is left for dead after a sandstorm hits and his crew scrubs the mission. He wakes up with very little oxygen, no working communications, and 30 days’ worth of rations to last him until a rescue mission can arrive in four years. The Martian is one of those eye-opening reminders of the power of cinematic storytelling. Damon gives an incredibly strong performance (as does the impressive ensemble cast) and Ridley Scott’s direction is flawless. This is not a movie to miss seeing in theatres. Robert Zemeckis has directed Who Framed Roger Rabbit, Cast Away, Death Becomes Her, Forrest Gump, Contact, The Polar Express, Flight, and all three Back to the Futures. His latest movie, The Walk, is in a company of peers. Joseph Gordon-Levitt plays the real-life Phillipe Petit, a French wire-walker who set his sights in the early ‘70s on walking a tightrope between the rooftops of the new World Trade Center towers — and who breathtakingly accomplished the unfathomable feat eight times one August morning. The visuals Zemeckis conjure are impossible to shake, but none of it would matter if Gordon-Levitt’s performance weren’t so alive. The spark of playfulness in his eyes keeps the whole movie bouncing, long before the absolutely incredible walk itself grabs your breath. Denis Villeneuve directed the stunning thriller Prisoners two years ago, eliciting two of the best performances Hugh Jackman and Jake Gyllenhaal have given in their careers. He does the exact same with Sicario, a drug cartel nightmare starring Emily Blunt, Josh Brolin, and Benecio Del Toro. FBI agent Kate Macer (Blunt) is given the opportunity to join a mission to El Paso to assist in bringing down a cartel boss. Once on her covert mission, she quickly finds herself not in Texas but in Mexico, forced to go after much bigger fish than she signed up for and to compromise her values in ways than she won’t willingly accept. 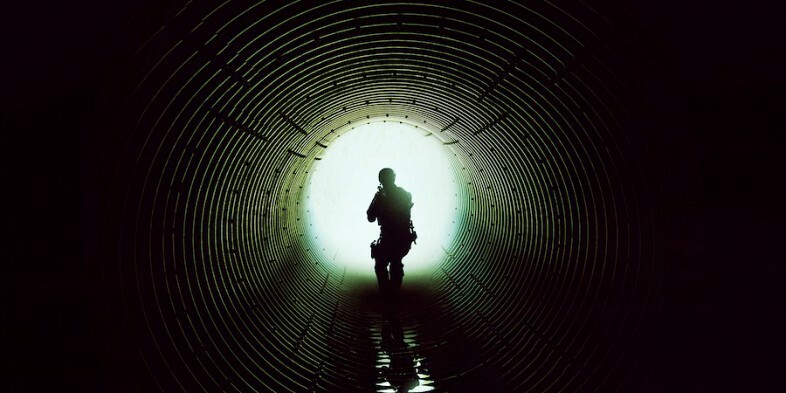 Sicario is an onion of tension. The more the movie reveals to you, the more it ratchets up the dread and uneasiness of the horror Kate finds herself in. Gorgeously shot and stunningly acted — both Blunt and del Toro deserve Oscar nominations — Sicario is a thriller for everything with the nerves for it. As Steven Spielberg has gotten older, he’s found himself making more and more serious dramas — which is fine when they’re interesting, but the last decade has found Spielberg more focussed on interesting time periods than interesting stories. Bridge of Spies is another such movie. Tom Hanks stars as James Donovan, an insurance lawyer who was chosen for the thankless task of defending a Russian spy in 1960 — and who so successfully lobbied for him client, he was tasked with arranging and executing a prisoner exchange of him for an American fighter pilot, in the middle of ’60s Berlin. Spielberg frames his shots well and Hanks hits all his marks, but they’re both just repeating work they’ve done before, in better movies. Bridge of Spies is good, and worth seeing, but both Hanks and Spielberg are both capable of more, especially together. Steve Jobs is a figure perfect for biopics, which is why he’s getting his second one in three years with Danny Boyle’s titular look at the media mogul. 2013’s Jobs, starring Ashtor Kutcher and Josh Gad, was remarkably good, with startlingly strong performances. 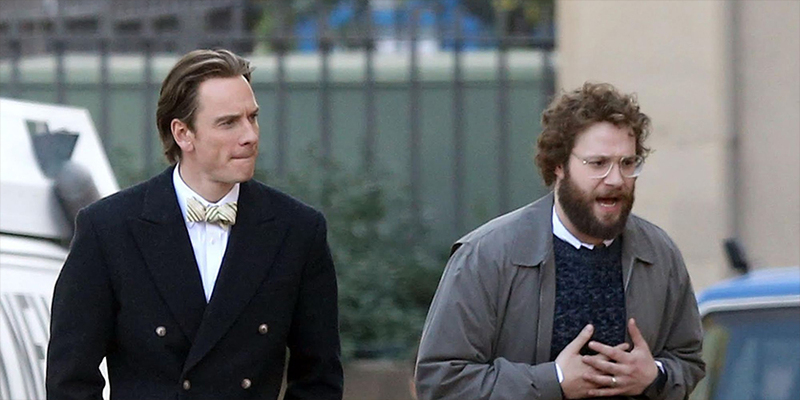 Almost as surprising is the fact Steve Jobs, written by Aaron Sorkin and featuring Michael Fassbender, Kate Winslet, and Seth Rogen, is only as good as (but no better than) Jobs. Sorkin’s screenplay cleverly takes place on only three days — the launches of three Jobs-designed products — but most else about it feels stale, from the repetitive dialogue to the near-parody walk-and-talks. Also unfortunately, while The Social Network’s David Fincher had a strong enough voice to overpower Sorkin’s when needed, Boyle just isn’t able to put his personal stamp on the movie. It’s probably the least visually impressive thing he’s done, in a career that’s given us Trainspotting, Sunshine, Slumdog Millionaire, and 127 Hours. Sometimes a good movie never becomes great, despite all the necessary ingredients being present. Boyle, Sorkin, and the ever-talented cast all try their best, but Steve Jobs never coalesces into a stronger sum than its pieces — and some of the pieces just don’t fit together as well as they should.